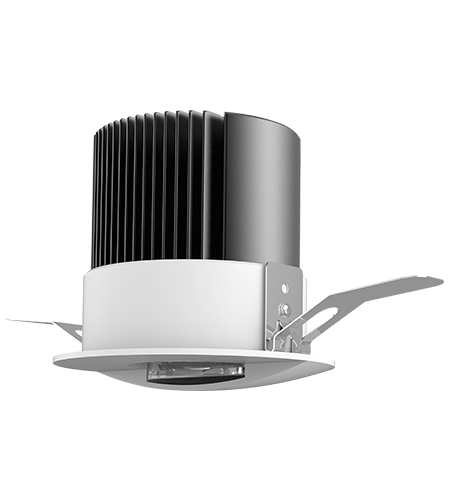 The Goodlight™ Nero LED Wall Wash Downlights are the stylish, energy-efficient upgrade to metal halide wall washers and halogen downlights. Designed to light up walls and corners, it provides a wide, asymmetric light distribution perfect for wall washing and creating a real sense of space. Nero LED Wall Wash Downlights are rated IP20, slotting directly into apertures of ø90mm, blending seamlessly into modern interior settings. Featuring a wide, asymmetric distribution, throwing the light onto the wall, it produces an interesting mood lighting effect. These LED Downlights have a high lumen output of up to 1,294Lm, providing a bright, glare-free lighting effect that adds interest to your desired interior setting. The Nero LED Wall Wash Downlight is suitable for accent lighting in retail, offices, commercial, museums, galleries, accent lighting, hotels and leisure.